When imagining bliss, a few destinations immediately come to mind as being tropical, relaxing and entrancing. The Exumas, a string of islands in the Bahamas, is known for being a gem amongst the more than 700 isles, cays, and atolls in the region. 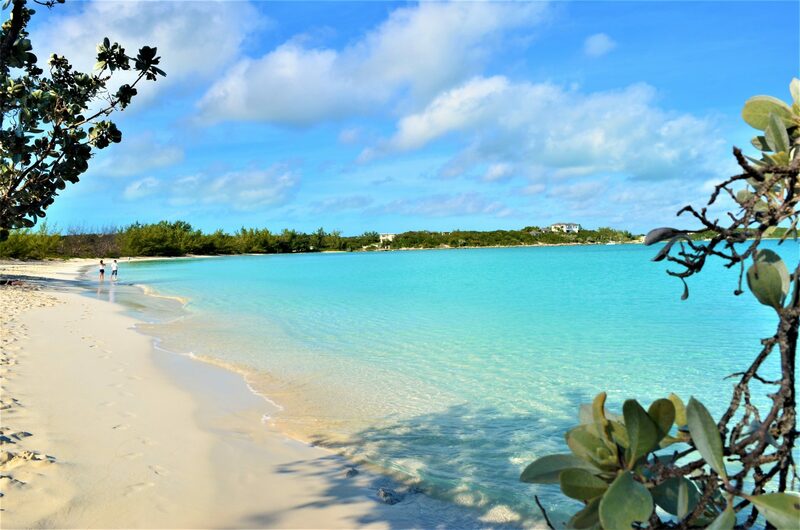 Remote enough to feel as if you’ve stumbled on your own private beach and yet interspersed the charming local towns, the Exumas leave little to be desired in a relaxing luxury charter. Island hop through the white sand beaches and swim in the crystal blue water daily as you fall in love with constant beauty of the Bahamas. The chain of islands doesn’t just boast luxury and relaxation. Rich in history, explore the historic ruins and learn about the area settled by British loyalists with their slaves after the American Revolution. From snorkeling to sunbathing, enjoy the natural splendor that has made the Exumas famous. Meet the yacht in Nassau at Paradise Island’s renowned Atlantis Resort and Marina. Once on board, make way for Highbourne Cay and Allen’s Cay. At the halfway mark of your cruise, ask the captain to drop anchor to dive the “blue hole” found in the area. A stark contrasting deep blue circle, the “hole” can’t be missed. Upon arriving at Highbourne Cay, disembark to explore the island. Later, take the tender or jet ski over to Allen’s Cay. Be sure to bring some lettuce, as the island’s native iguanas will eat from your hand. Start your day at Highbourne Cay, searching for colourful sea life while snorkeling or leisurely paddleboarding along the shore. In the afternoon cruise to Norman’s Cay, infamous for being the former playground of Medellin cartel kingpin Carlos Lehder, it still boasts the same beauty and luxury that drew the leader without the scandal. At Norman’s cave you have a unique opportunity to snorkel or dive on a sunken plane. For a more adrenaline inducing pastime, visit the upper lagoon near Lone Palm Island and take your yacht’s jet skis for a spin of wakeboard or water ski. End your evening cocktails at sunset as you cruise to Shroud Cay. A no take zone with over 30 years of protection enjoy a sunrise walk on Shroud Cay’s beach and leave nothing but footprints in the sand. Continue your walk through one of the many hiking trails located on the island and be sure to take a refreshing swim amongst the well preserved marine habitats. Later, sail to Warderick Wells and moor at one of the three mooring fields: J shaped harbour, Emerald Rock Mooring Field, or Hog Cay Mooring Field. Warderick Wells is home to The Exuma Cays Land & Sea Park where activities abound. Explore the varying topography from sand dunes to rocky bluffs, mangroves to sand flats, the possibilities are endless. This is also an excellent location for snorkeling or scuba diving so strap your gear back on and dive! Since you cannot anchor here, take an early evening cruise to Bell Island. Owned by “pirate of the Caribbean” Johnny Depp, the island of Little Hall’s Pond Cay has near its shores a beautiful “sea aquarium” that is a must see for snorkeling. After, cruise to Big Major’s Spot, home of the famous swimming pigs. Try and spot the resident nurse sharks in this grotto where the movie “Thunderball” was also filmed as you continue your snorkeling escapade. Afterwards, kick back at the nearby Staniel Cay Yacht Club for happy hour. Enjoy all of the yacht’s amenities from beach clubs to tenders and water toys. Dive near the Over Yonder Cay while the crew prepares a picnic lunch on the beach. For those hard to reach nooks and crannies, take a tender to explore the cays and atolls. Make sure to bring your camera if you want to capture the splendor of the area and the crystalline shimmer of the water. Nearing the end of your journey, take one last dive into the clear water and snorkel for your last glimpse of the Bahamian sea life after enjoying an alfresco breakfast. For an intimate final day, pack a basket of champagne and strawberries and climb aboard jet skis as you find a secret sandbar for a quiet moment. Return to the yacht for one last alfresco sunset dinner aboard. In the mid-morning, cruise to Paradise Island where you can disembark to take advantage of the wonderful amenities of the Atlantis Resort.